Below you can view all the homes for sale in the Olde Savannah Square subdivision located in Suwanee Georgia. Listings in Olde Savannah Square are updated daily from data we receive from the Atlanta multiple listing service. To learn more about any of these homes or to receive custom notifications when a new property is listed for sale in Olde Savannah Square, give us a call at 404-998-4113. 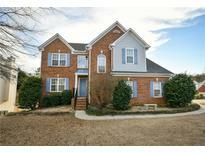 Minutes To I-85/Hwy 316 And Infinite Energy Center. MLS#6538758. Mark Spain Real Estate. Formal Dr And Living Room With Coffered Ceilings; Bedroom And Full Bath On Main Floor, Upgraded Lighting; Swim/Tennis Neighborhood, Swim Team; Private And Fenced Back Yard With Tiled Patio, Perfect For Families! MLS#6531508. Trend Atlanta Realty, Inc.. Roof Only 5 Yrs Old, Newer Water Heater. Motivated Seller! MLS#6521913. Realty & Co..
Move-In Ready*Most Of Int Include master Repainted*Grand 2-Story Foyer W/Lots Of Natrl Light*Formal Living Room W/French Doors To Formal Dr*Inviting Kitchen W/Grnt Counters, Tile Floor, Double Pntry, Lots Of Cbnts, Bayed Eating Area & Breakfast Bar, Stainless Steel Appliances Include Double Oven & Gas Stove, Views Large Fr With Gas Log Fpl & Door To Oversz Patio, Fncd Yd*Huge Tile Lndry Room*Spacious Bedrooms Up W/Plenty Of Clst Spc*Huge master Suite With Double Trey Ceiling, Offc Area W/Blt-In Desk, Cbnts & Attic Strg Access*Remodeled master Bath W/2 Vnties, Mrbl Floor, Large Tub, Ovrsz Mrbl Shwr, His/Hers Wics*Dual Hvacs 2016, Roof 2014*Blt-In Cbnts In Large 2-Car Grg. MLS#6514557. Realty Associates Of Atlanta, Llc.. 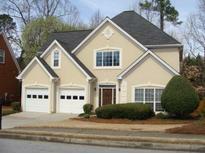 Convenient To Shopping & I-85, Peachtree Ridge High School. MLS#6121286. Gt Realty, Inc..